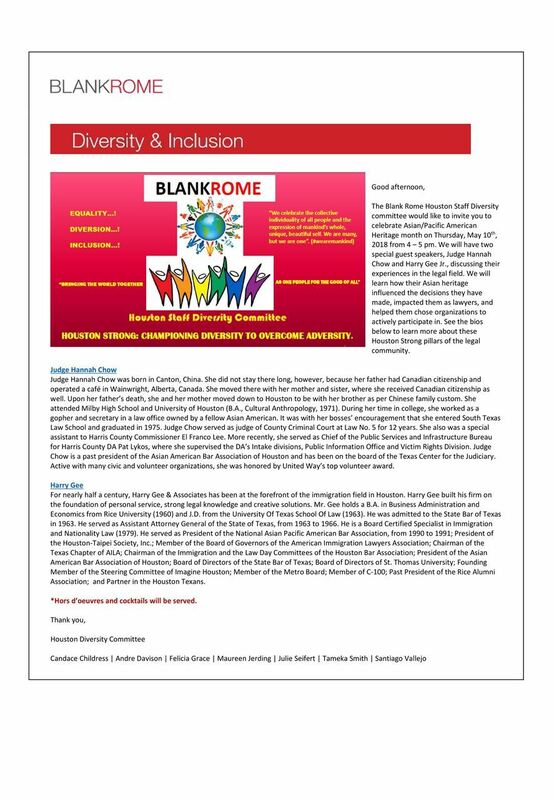 Join Blank Rome Houston in celebrating Asian Pacific History Month on May 10th from 4-5pm at their office. Judge Hannah Chow and Harry Gee, Jr. will discuss their experiences in the legal field. RSVP with Tameka Smith at tsmith@BlankRome.com.